They made it just in time for the five-hundredth anniversary of the Protestant Reformation, though it’s unclear if the current sitter on the throne of apostasy in Rome will act on the request. 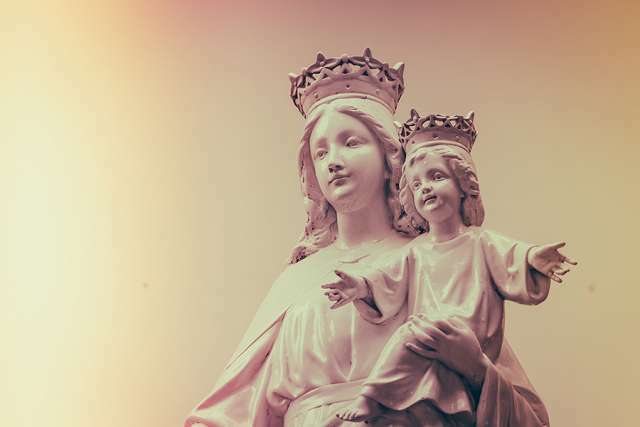 Ever in pursuit of Protestants to “come home,” Rome has not given this title to Mary in a formal way, but its tacit acceptance of it through the centuries effectively already makes it dogma. The belief in the redeeming ministry of Mary is widespread among the deceived adherents of Roman theology. But Fastiggi believes that formal papal recognition of the title would aid in ecumenism. With this closing quote, the CNA article ends. Anyone have a theses and a few nails? There’s clearly cause to continue the protest. “Got Apostasy?” has just gotta be the official bumper sticker of the pope-mobile. And for 1.2 billion Catholics worldwide, Rome’s dangerous doctrines are driving them to sure and certain eternal destruction. Pray for the lost trapped by the false gospel of Rome, and share the genuine, Biblical Gospel of the one true Redeemer with every Catholic you can.